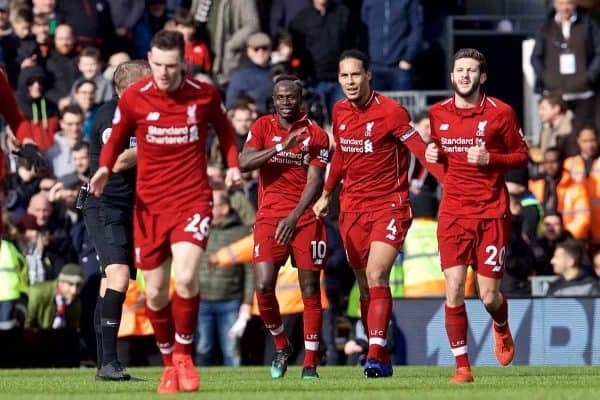 Fighting back for three points at Fulham on Sunday was a crucial moment for Liverpool, with their next three games potentially defining the title race. This was a massive step forward; this was a defining result. The type of victory that successful league title campaigns are built upon and a win that put Liverpool back on top of the Premier League. Beating Fulham was one of those wins that represented more than a simple three points. Jurgen Klopp declared it to be an average game, sensational result. He nailed it really. Craven Cottage was ripe for the classic Liverpool banana skin moment, and so it almost proved. 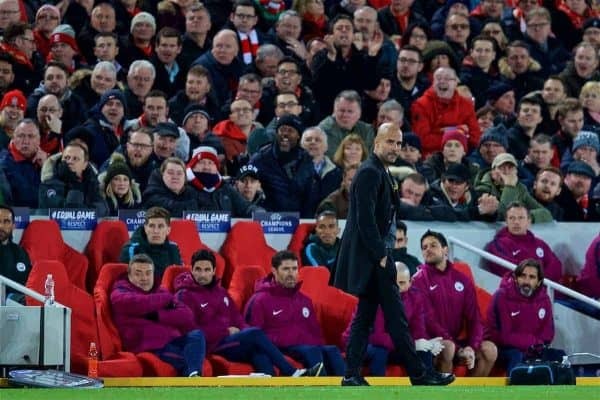 To walk away with a win is nothing but a kick in the teeth for anybody who either wants Man City to win the title, or alternatively just doesn’t want Liverpool to win it. 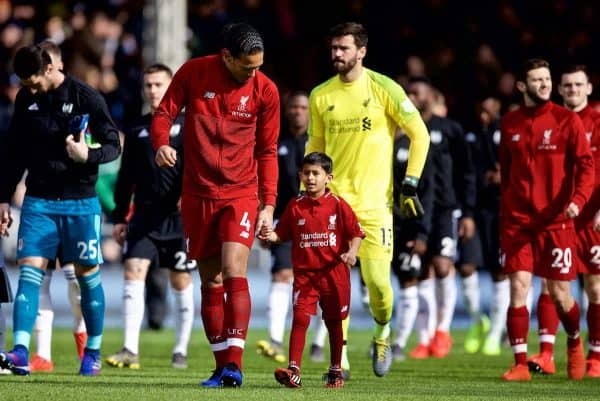 A miscue from James Milner, a hesitation from Alisson, a delay from Virgil van Dijk and a gift presented to an apologetic Ryan Babel. This had Steven Gerrard’s slip against Chelsea, five years ago, stamped all over it; this was meant to be the definitive moment we shot ourselves in the foot, circa 2018/19. This was meant to be this season’s version of the 4-4 against Arsenal in 2008/09; this was to be Gerard Houllier’s “10 games from greatness” from 2001/02. This was threatening to be David James inadvisable attempt to collect the ball against Coventry in 1996/97. Another self-inflicted wound in a title race where we were in with a very real chance of lifting the curse; another self-inflicted wound elicited just as the title drought seemed to be in danger of ending. People of a non-Liverpool denomination set their watches by stuff like this. What we did though, was pick ourselves up and insist upon the three points on offer. No heads going down, no dipping of shoulders. This Liverpool has a vague sense of being detached from its vulnerable modern history, a modern history of talking ourselves out of winning league titles. Generally speaking, I dislike those massive oversized headphones that players wear when nonchalantly strolling into football grounds. They represent better than anything else the sense of detachment between football clubs and their supporters. Yet, what Liverpool are currently doing is strolling into football grounds with a metaphorical and collective set of massive oversized headphones on, attempting to blot out the habits of a lost Liverpool generation. 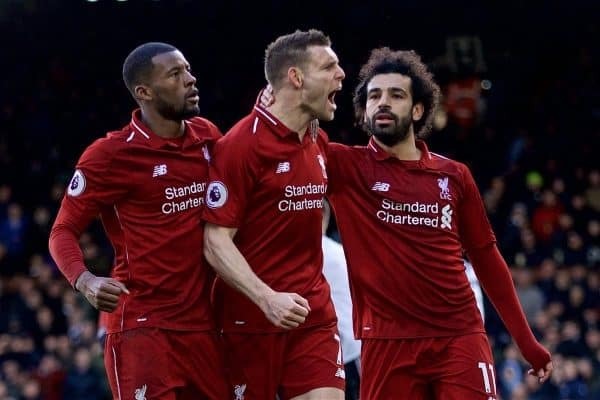 Undeterred by the manner of his introduction to the game, Milner went from playing a huge part in a poorly conceded equaliser, to calmly slotting home the winning penalty. In technical terms, it wasn’t the greatest penalty. Stroked down the middle, it both psyched out the Fulham goalkeeper and came with that element of risk, where if Sergio Rico had just stood still he could have simply volleyed the ball high up the pitch, or launched it into row Z. 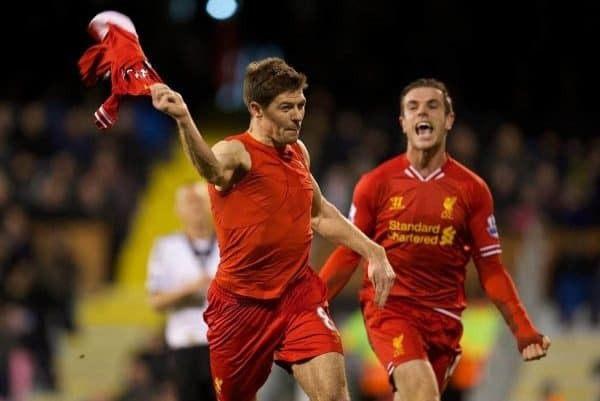 Obvious comparisons were drawn to the penalty that Gerrard scored at the same venue, against the same opposition in 2013/14, a penalty which really announced Brendan Rodgers’ Liverpool as a title contender. Klopp’s Liverpool introduced themselves as a title contender long ago. This one was about stamping some authority. This one was about informing City that if they are to retain the Premier League then they will have to extend themselves to their full capacity to do so, during a wider campaign in which they will be stretched to the limit by four competitions. If City win the title, then this Liverpool will ensure it has to go through the pain barrier to do it. 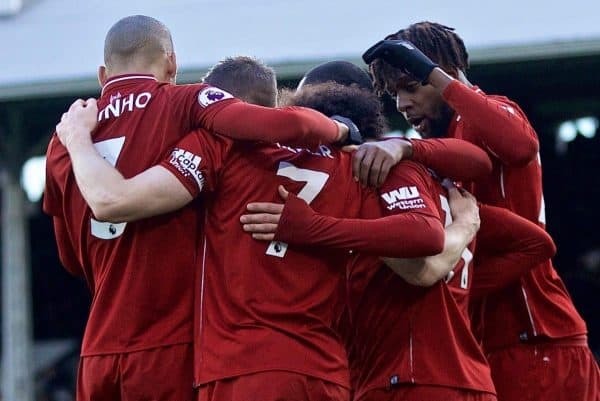 It is insane to think that this Liverpool could reach 97 points, that they could end the season with just one league defeat, yet not win the title. If we can be metronomic about our dealings in the league over the course of our next three games, then we will win the title. Tottenham at home, a Friday night away to Southampton and then Chelsea at home will dictate the outcome for us. A fitting end to that cluster of games, given the opposition on the day that Gerrard hit the turf, half a decade ago. Sadio Mane, in the form of his life, has nursed us to this point. I’m not suggesting he has carried us all season, as that has been a collective effort, but what you do get in these circumstances is one predominant performer who inspires everyone else. This tends to be done on a relay basis. 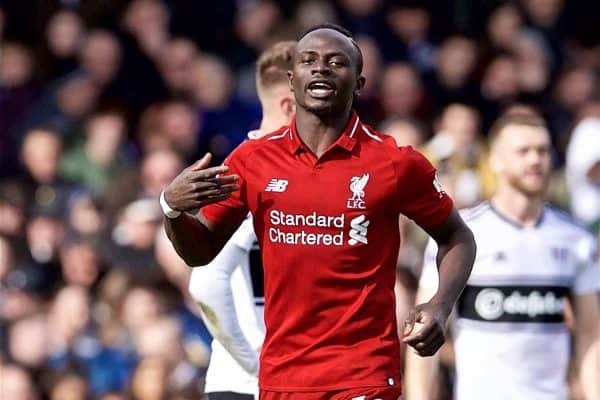 The hero’s baton has been passed from Mane, to Mohamed Salah, to Roberto Firmino and back to Mane again. He procured another goal of beauty at Craven Cottage. Salah isn’t lacking in confidence, as has been suggested by some. What I would say however is that he is finding all the things that seemed to come so easily to him last season are harder earned this time around. There is still time for Salah to click into those higher gears he has. If that were to happen, then it would be akin to getting ourselves into this position and then flicking the booster switch. This last weekend couldn’t have gone any better for us. City advancing into the semi-finals of the FA Cup has pretty much left them with two games a week between now and the end of the season. That will definitely be the case if they navigate their way beyond Tottenham in the Champions League. Those games against Spurs will be wonderfully draining for them. All-English Champions League quarter-finals tend to be high-octane, mentally and physically demanding affairs. It’s not just about the heavy legs they will be feeling, it is the tiredness of mind. I’m hoping that Mauricio Pochettino’s side will have one eye on these games when they come to Anfield after the international break. 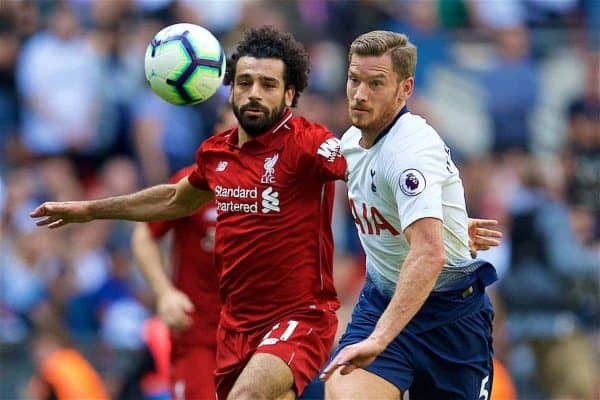 Having not played this weekend, Tottenham will arrive refreshed physically, yet as we’ve seen with Liverpool, those long breaks between games can provoke a lazy lethargy too. Tottenham haven’t won a league game since February 10 though. Beware the dangers of a team with something to prove and form to be found. It will be another massive test of strength for us. We have seven massive domestic tests of strength to go, but the next three will dictate the destination of the title.